Your financial investment, plus your time and talent, is among the greatest gifts you can give. Take a moment to make an investment in our community’s future and help ensure the continued legacy of Alamo Area Council Scouting. Give the Adventure is an opportunity for families, friends, alumni, business and community organizations to support Scouting. 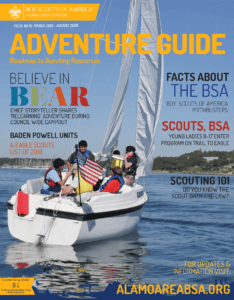 Help us provide the resources necessary to make sure every youth can benefit from Scouting’s fun, exciting, adventure-filled activities that foster character, honesty, respect and life-long values. The $33 annual Scouting registration fee goes directly to the national office of the Boy Scouts of America. If a Scout unit collects dues, that money stays with the unit to help pay for supplies, advancements and other activities. None of that money helps the Alamo Area Council. 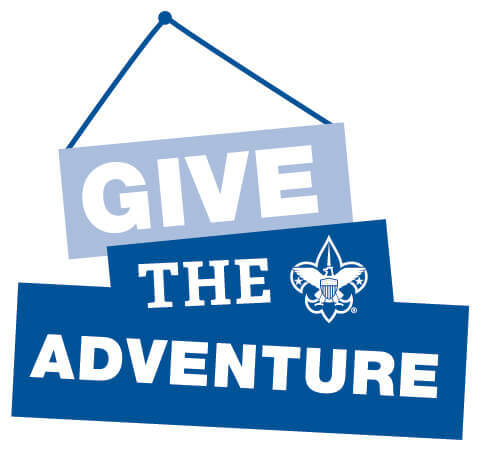 In order to keep Scouting affordable for all youth, the council runs an annual Give the Adventure fundraising campaign. Give the Adventure contributions provide approximately 24% of the support the council receives each year. The success of Scouting depends on those who support it. Please help Scouting provide the resources necessary to make sure every youth can benefit from Scouting’s fun, exciting, adventure-filled activities that foster character, honesty, respect and life-long values. Your generous tax-deductible gift to the Boy Scouts of America provides direct funding for educational initiatives and active learning that program fees alone do not cover – is a statement about your belief in Scouting, our programs and our properties and in our belief in educating the entire mind of the young people.